I already have a 28mm Hive RTA and love it. My only issue with the 28mm is that it is so cumbersome on top of my NATO tube mod. Just received my 25mm hive in. Threw a build in it and installed the stainless tank and fell in love with the Hive RTA all over again. Flavor is amazing and such dense thick clouds from an RTA. All I can say is that if you get a Hive you will not regret it. I have been in love with the Hive Rta's for quite some time. Absolutely no complaints on the tank itself. My issue lies in that there does not seem to be any replacement options for the tank section. I have checked for 3rd party manufacturers and have been unsuccessful. Once there becomes options for replacement glass then the rating would be 5 star. Excellent flavor and cloud production! CCI never disappoints! They knocked it OUT OF THE PARK with this one ! This has the BEST flavor of any tank I have, the air flow is very good. GOOD Clouds with it. In my book it is even better then the 28 MM Hive. I love the close off airflow ring for re-filling. The ONLY thing subjective is the smaller coil clamps. You HAVE to be very careful. GREAT GREAT Tank in my book, well worth the money. I absolutely love it. Very smooth. First time buyer and I will def be a frequent buyer. Next on my list is the 40. Thank you for making such great product. 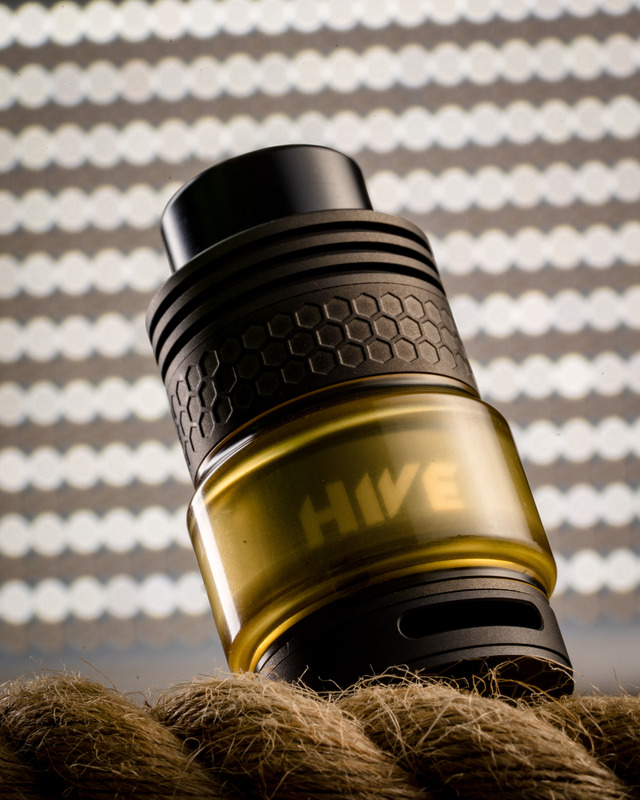 I've been waiting for this Hive 25mm. I love it..meets all my expectations ..and more..No leaking, and puts out fantastic flavor ..and incredible clouds..
My husband loves his too. Always a treat with the Hive. Easy to build on and performs perfectly. A must have if you are an RTA fan!